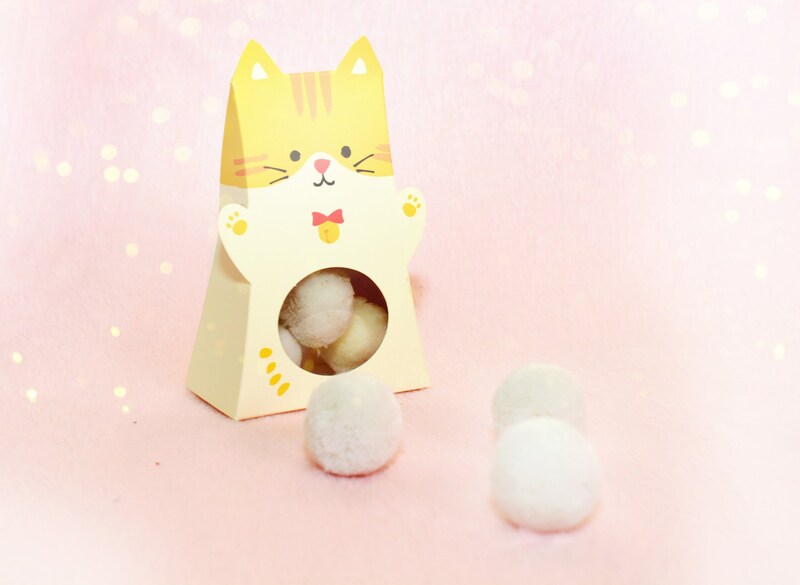 Christmas is coming and we all are in search for purrfect gifts for our loved furry ones...There are so many things to choose from that your eyes starting to glaze over and you simply can't decide what to choose. 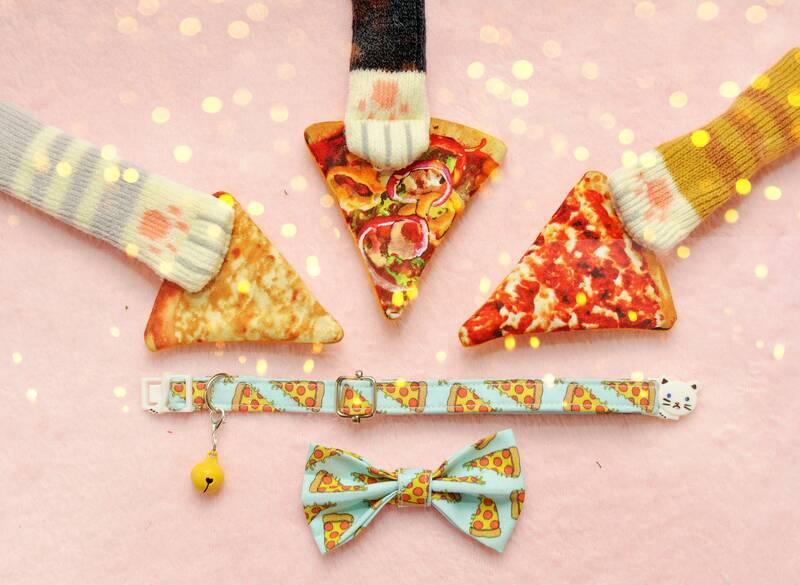 We've created gift Yummy Pizza selections and produced unique Christmas gift packages to stop your furry friend (and yourself!) being left out. Meow. > Chair shocks** - cat's paws design. * Pizza toy colour is randomly selected by our cats Daisy and Boris. ** Paws socks are available in Tabby, Tux or Ginger. You can choose your favourite colour. Socks are made from acrylic wool and are best suited for slim rounded chair or table legs. - Collar length - kitten 9'' or adult cat 12'' (breakaway). 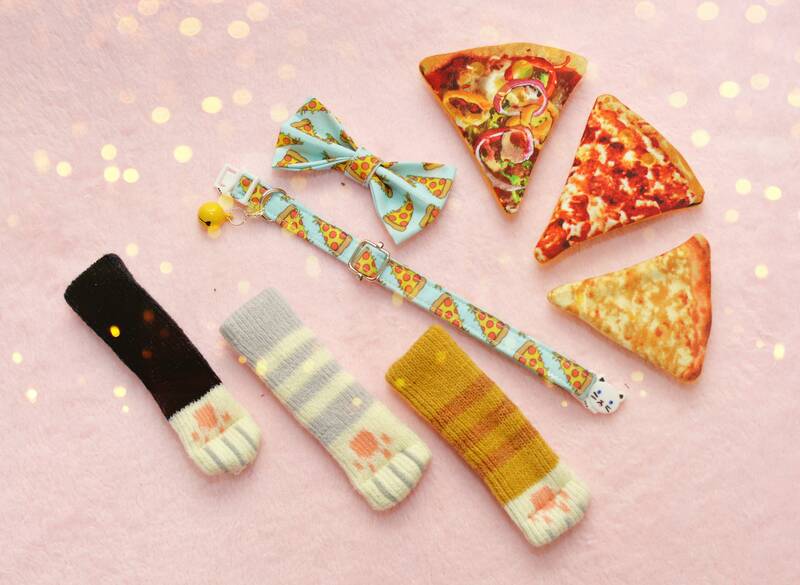 - Pizza toy contains catnip & toy stuffing. 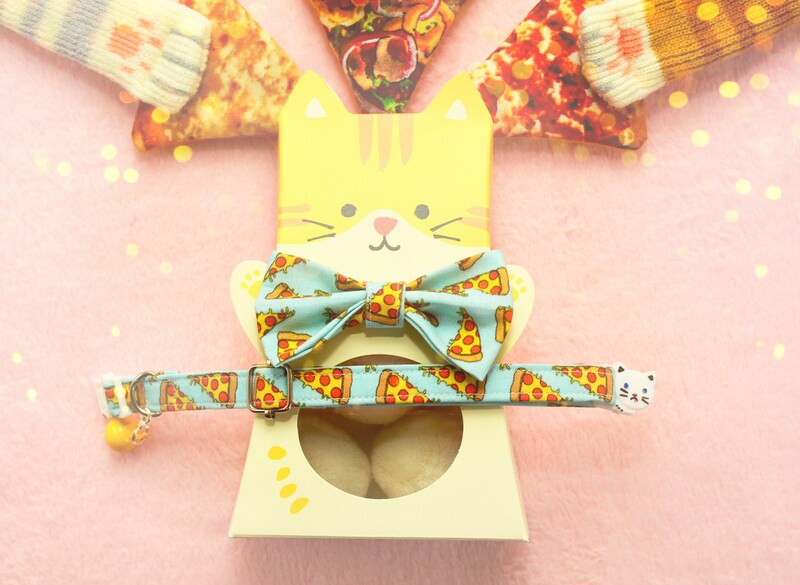 - Pizza bow is removable.